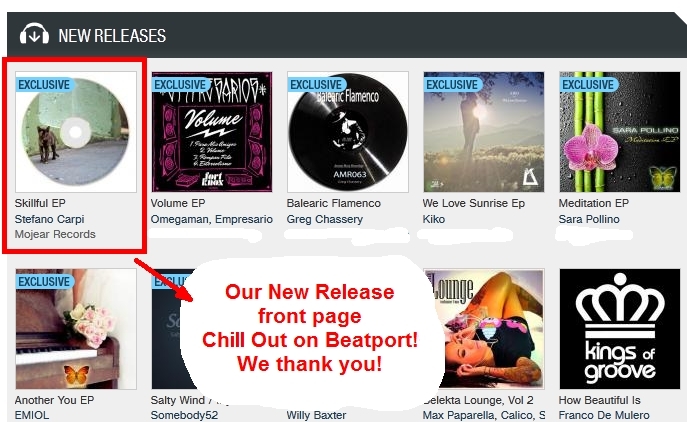 New release out today on Beatport! Stefano Carpi is here! About Stefano : Stefano Carpinella, alias Stefano Carpi, was born August 20, 1976 in Pistoia, Italy.At the age of 16, Stefano started playing records at friends’ parties for fun. Little did he know that it was the beginning of what would be his future career: a DJ,and producer.After his first professional experience at the PANDA Pistoia, Stefano has performed and continues to perform as a DJ at the most important clubs in Tuscany and elsewhere in Italy.In 2001, Stefano began producing songs and participated in the Festival di San Marino with a pop tune “Look at me.”He has recorded various house remixes and two chillout / lounge CD’s. In 2011, his unpublished song “After the Sea” entered the Café del Mar compilations (No. 17).In addition to working as a DJ for clubs, he continues to work on new productions and projects for clubs abroad.